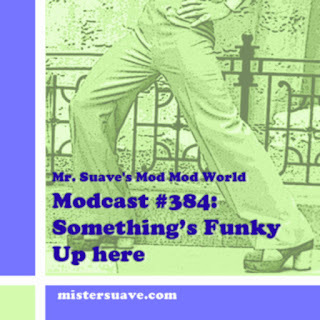 Mr. Suave's Mod Mod World: Modcast #312: Gotta Look Sharp! Welcome to the big post Halloween show, a show so big thirty minutes can't contain it! I want to thank my usual stand-in, DJ Ken from The Shingles, who nicely took over last week to you some great Halloween tunes for his 7th annual halloween modcast. A big thank you and a hearty handshake to Ken for drivin' the hearse last week while I was busy passing out razor blade apples and oxycontin sweettarts. This week I've got great tuneage for you: brand new tracks from French Boutik and The Safes, as well as some great 80s songs, and a whole slew of other stuff.